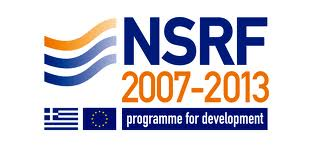 Dr. Georgios Eleftheriou is Postdoctoral Researcher of the Department of Monitoring and Research at Norwegian Radiation Protection Authority (NRPA) since June 2015 and Research Associate of the Institute of Oceanography at HCMR since September 2008. Dr. Eleftheriou earned his doctoral degree in the field of Environmental Radioactivity from the Physics Department of National Technical University of Athens (NTUA), Greece, in collaboration with the HCMR, working in the group of Professor Rosa Vlastou (NTUA) and in the group of Dr. Christos Tsabaris (HCMR). His thesis work focused on the study of the spatial and temporal distribution of radionuclides in the aquatic environment. During his doctoral studies he also worked with Professor John Brittain, D.Sc. from University of Oslo, Norway as well as with Dr. Luigi Monte from ENEA, Italy. His research activity deal with the in-situ gamma-ray spectroscopy and lab radioactivity measurements in the marine environment, nuclear physics instrumentation and technology, simulations of detection systems and environmental radiomodelling, radioprotection and radioecological issues, as well as the use of radiotracers in oceanography and geology. Dr. Eleftheriou has 9 peer-reviewed publications in international journals, 2 book chapters and 43 proceedings and abstracts in conferences, with about 58 citations. He has participated in 8 national and international projects and 20 international conferences, workshops and meetings. He is a member of the Hellenic Nuclear Physics Society (since 2009) and a reviewer in the journals Air Quality, Atmosphere and Health (June 2015) and Scientific Reports (October 2015). He has been awarded with 4 scholarships and 1 prize from 2004 until now. Dr. Eleftheriou also holds a M.Sc. 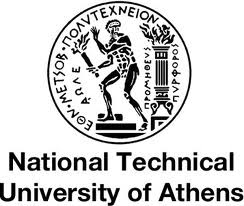 in Physics and Technological Applications and a diploma in Applied Mathematical and Physical Sciences from NTUA.